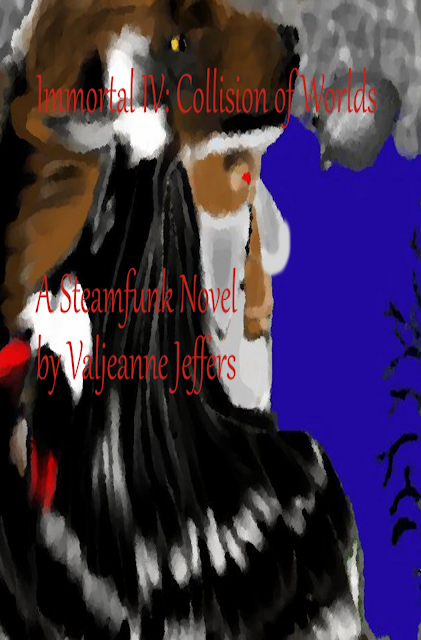 Immortal IV: Collision of Worlds by Valjeanne Jeffers. Available at Authors Valjeanne Jeffers and Quinton Veal. Cover art and design by Quinton Veal. Copyright 2013 all rights reserved. Immortal III: Available in print and in audio! Mona Livelong: Paranormal Detective Coming soon!